WOW - Thank you for being a part of making a positive difference in so many lives!! Your Soccer balls and wristbands and color Tracts opened up so many doors and smiles with the Dental students and attracting the Zambian Kids. They broke down alot of Language Barriers. Real Quick!!! Awesome Ministry...Thank you. Yu also helped in serving the people of Zambia, Africa. We spent 2 weeks this past August and took 11 Forth year dental students from UMKC. We served over 550 people in 6 days, medically and dentally. The students learned about unconditional helping of people who live in grass huts with no running water or electricity. They helped remove pain and infection that in many cases had gone on for years. They also learned that their appearance is just as important to them as it is to us as they helped restore their smiles. The students skills, wisdom, and knowlege was greatly improved and now they can come back to better serve people in the USA. Win, Win, Win!! Thank you for being a part of these missions - Loving God and Serving Others. It's not just about teeth - it's about positive relationships and we appreciate the relationship we have with YOU!! 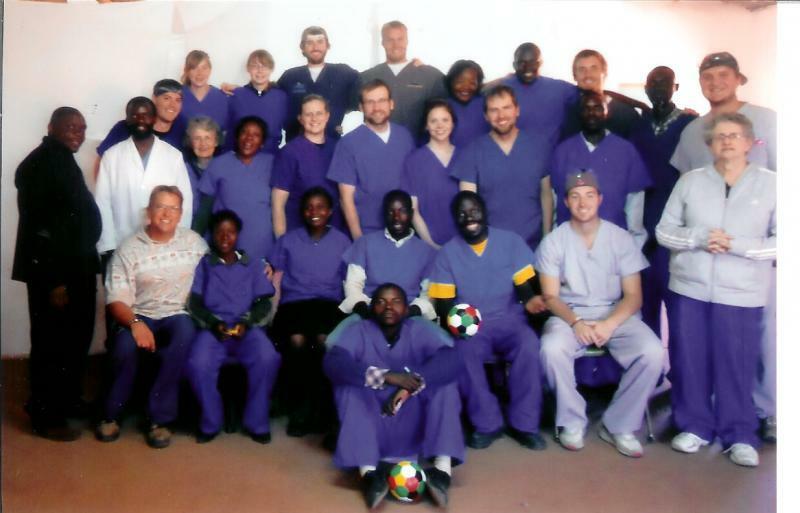 A note from Mike and Betty: Please pray for Dr. Jim and the dental students he took to Zambia that God would bless them as they serve Him here and abroad. Pray especially that the dental students will grow in their desire to serve God through ministering to others. Thank YOU!